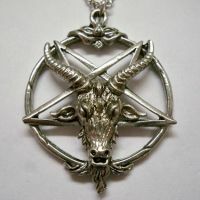 Goat Head Inverted Pentacle Necklace [NK546] - $9.99 : Mystic Crypt, the most unique, hard to find items at ghoulishly great prices! 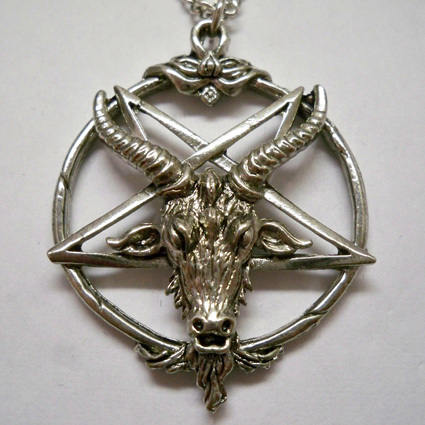 Goat Head Inverted Pentacle Necklace. Cast in high grade pewter. Silver antique finish. 20” neck chain. 1 1/2” Diameter. All Jewelry is packaged with Black Custom Back Card. Made in the USA.